The last time I wrote about Torarenbo was in 2012 about their lobster sashimi, which by the way is still on their menu. This time we sat at the sushi bar which was a different experience than sitting at the table. The busy chefs and the busy restaurant worked well together to produce the food with efficiency. 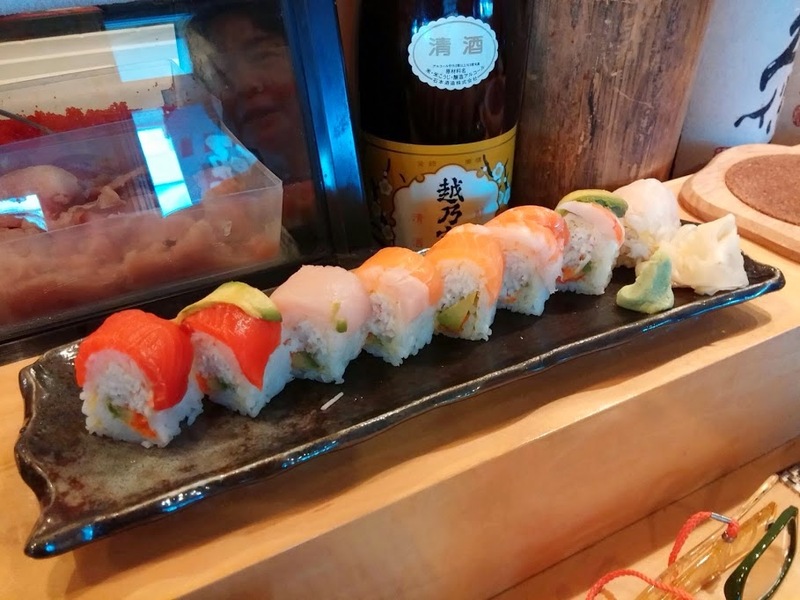 The rainbow roll is a california roll made with thin egg sheets instead of seaweed and topped with salmon, tuna, or shrimp. I found it interesting that they used egg sheets instead of seaweed but the egg is so thin that you can't even taste it. It takes more skill to make the delicate egg than to just use the seaweed sheets though. 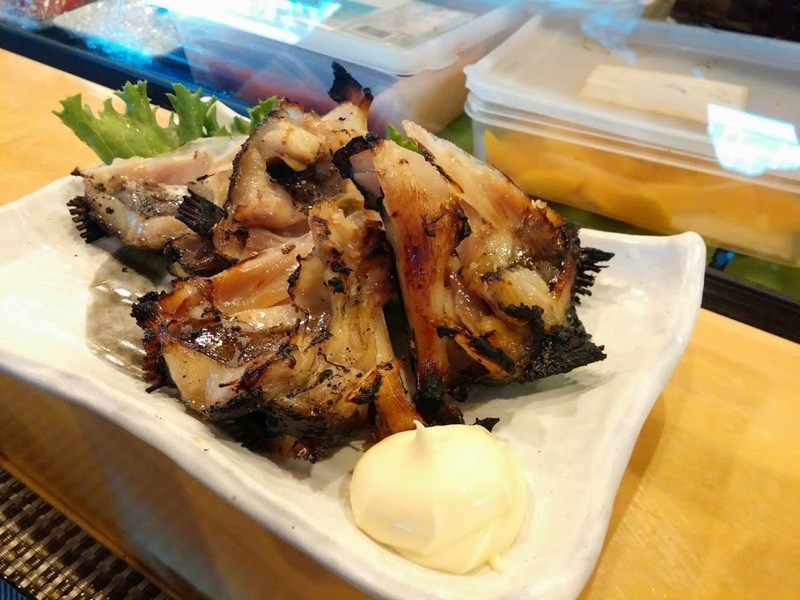 The grilled black cod is slightly sweet like teriyaki sauce and is dipped into the creamy mayonnaise. The fish meat was firm and there is more bone than meat. It makes a good appetizer. The kimchi hot pot was a mixture of kimchi, vegetables, tofu and pork slices. The soup was slightly spicy and it is not a must order dish. If you're looking to include more vegetables in your meal then perhaps this is a possible choice. Overall it was another good meal at Torarenbo. 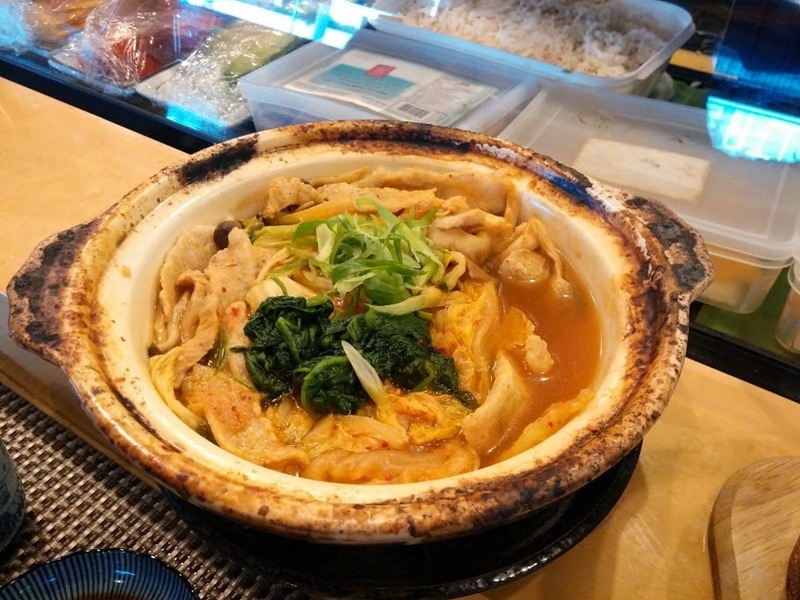 They don't serve the best Japanese food in Vancouver but they're affordable, the service is quick and it will satisfy your Japanese food craving.